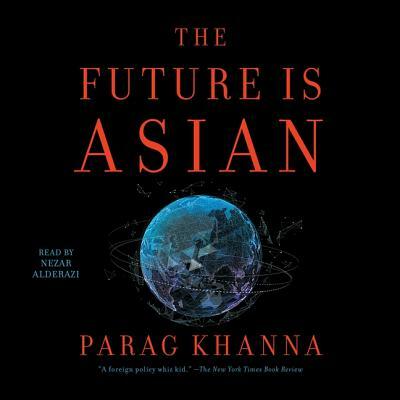 The Future Is Asian: Commerce, Conflict and Culture in the 21st Century (Compact Disc) | Eagle Harbor Book Co. In the 19th century, the world was Europeanized. In the 20th century, it was Americanized. Now, in the 21st century, the world is being Asianized.The "Asian Century" is even bigger than you think. Far greater than just China, the new Asian system taking shape is a multi-civilizational order spanning Saudi Arabia to Japan, Russia to Australia, Turkey to Indonesia--linking five billion people through trade, finance, infrastructure, and diplomatic networks that together represent 40 percent of global GDP. China has taken a lead in building the new Silk Roads across Asia, but it will not lead it alone. Rather, Asia is rapidly returning to the centuries-old patterns of commerce, conflict, and cultural exchange that thrived long before European colonialism and American dominance. Asians will determine their own future--and as they collectively assert their interests around the world, they will determine ours as well. There is no more important region of the world for us to better understand than Asia - and thus we cannot afford to keep getting Asia so wrong. Asia's complexity has led to common misdiagnoses: Western thinking on Asia conflates the entire region with China, predicts imminent World War III around every corner, and regularly forecasts debt-driven collapse for the region's major economies. But in reality, the region is experiencing a confident new wave of growth led by younger societies from India to the Philippines, nationalist leaders have put aside territorial disputes in favor of integration, and today's infrastructure investments are the platform for the next generation of digital innovation. If the nineteenth century featured the Europeanization of the world, and the twentieth century its Americanization, then the twenty-first century is the time of Asianization. From investment portfolios and trade wars to Hollywood movies and university admissions, no aspect of life is immune from Asianization. With America's tech sector dependent on Asian talent and politicians praising Asia's glittering cities and efficient governments, Asia is permanently in our nation's consciousness. We know this will be the Asian century. Now we finally have an accurate picture of what it will look like.